peripheral devices you need in the field. be depended on to get the job done well. high standards of quality that Trimble is known for. convenient, simple operation in any environment. most appropriate tool for the jobsite conditions. especially designed for Trimble optical and GPS surveying systems. TSC2 controller runs your choice of powerful Trimble field software. office functions on one rugged business device. vibrant color graphic display for greater data control and confidence. capabilities and experience a major leap in productivity. 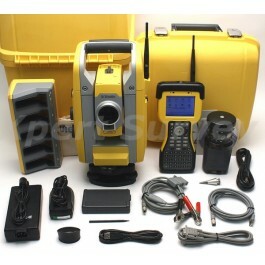 for use with a robotic system such as the Trimble S6 total station. your office over a wireless 802.11 LAN—again, no cables are required. Secure Digital memory card media. The TSC2 controller is central to Integrated Surveying™ from Trimble. microphone for audio system events, warnings and notifications.